This month, Daniel Ghinn reviews some of the key online happenings that have had an impact on healthcare over the year. The year 2014 has been incredible for social media in healthcare. Consumers and patients have taken on industry and regulators to change the course of healthcare history, and regulators all over the world have embraced social media innovation like never before. For pharma, the lessons of social media in 2014 are significant. Here are 10 of what I see as the most notable social media events of the year, along with insights for pharma. In what the Washington Post called a “crowd-sourced medical decision”, Josh Hardy, a seven-year-old boy who was close to death, gained access to an unapproved treatment after 20,000 people signed a petition urging the US Food and Drug Administration (FDA) to allow access to the drug on compassionate grounds. The petition was part of an online campaign on Facebook and Twitter which resulted in the drug’s maker, Chimerix, receiving calls, emails and letters on Josh’s behalf. Within days of launching in March, the ‘Save Josh’ Facebook page had over 25,000 followers and had reached more than a million people. After news outlets including CNN and Fox5 covered the campaign, Chimerix announced that Josh’s story had accelerated talks with the FDA, which had allowed a 20-patient paediatric clinical trial to be set up with Josh as the first patient. Josh headed home four months later and is now at the heart of a campaign to support other child cancer patients. Pharma insight: When consumer action on social media feeds traditional media, even regulators can be moved. In March, Pfizer’s head of Clinical Innovation for Worldwide Research & Development, Craig Lipset, published concerns in Nature Medicine Journal that patients’ use of social media was changing the nature of clinical trials and potentially skewing research data. Lipset cited examples including blogs, discussion forums and patient social media platform PatientsLikeMe as channels where clinical trial participants are sharing experiences, even collaborating to identify which arm of a particular trial they are on. Also in March, the Australian Health Practitioner Regulation Agency (AHPRA) issued a social media policy for all registered health practitioners and medical students, “to help practitioners understand their obligations when using social media”. The policy is a brief document which simply reminds health practitioners that their board’s code of conduct and obligations under national law apply online just as they do offline. Australia’s regulator was not the first to issue social media guidelines for healthcare professionals – the UK’s General Medical Council published guidance on doctors’ use of social media a year earlier. Pharma insight: Your healthcare professional customers are using public social media professionally, and regulators worldwide are responding with guidance. In May, NICE, the UK’s independent body that develops policies for NHS spending, issued final draft guidance recommending enzalutamide (Xtandi) for prostate cancer. The decision followed online campaigning by prominent healthcare professionals in social media, or ‘Digital Opinion Leaders’ including urologists, as well as patient group Prostate Cancer UK. In a statement, NICE acknowledged the role of patient groups and professional organisations in its decision making. Meanwhile, Prostate Cancer UK celebrated the decision on its Facebook page. “We made our voices heard”, it said. Pharma insight: Your product’s market success could be shaped by the activity of healthcare professionals in social media. 2014 should have been the year that pharma innovation in social media really took off. Ever since the FDA’s 2009 public hearing on social media, the absence of guidance from the US regulator had become a popular excuse for the industry’s sluggishness online. In June, the FDA’s social media guidance for pharma put an end to the long wait but turned out to be largely irrelevant for international pharmaceutical companies with markets outside the US. Pharma insight: Don’t expect a regulator to give you your social media strategy. In what the World Health Organization described as “the most severe acute public health emergency seen in modern times”, the Ebola virus disease prompted relative indifference in social media for months while it remained in West Africa, where it killed thousands. But in August, when the first Ebola patient arrived in Europe and soon afterwards in the US, social media exploded with conversation. For a few months during the peak of activity, social media posts about Ebola ranged from news reports to rumours, cures, vaccines and conspiracy theories. Up to 16,000 social media posts per hour were recorded in one study, which analysed more than four million posts about Ebola over the course of 2014. Pharma insight: Social media is a real-time indicator of the health fears felt by the public worldwide. In August, US pharmacy chain Walgreens announced that on completing its purchase of Alliance Boots it would keep its headquarters and tax base in the US. The announcement was hailed as a victory by Change to Win, a coalition of labour unions in the US, which had launched a number of online petitions and a Facebook page entitled ‘Walgreens gone wrong’. The group’s social media tactics mobilised consumer action calling on Walgreens not to perform a so-called ‘inversion’ by moving its headquarters outside the US in order to save billions of dollars in taxes. Announcing the decision to remain in the US, Walgreens said it was “mindful of the ongoing public reaction to a potential inversion”. “Successfully pushing Walgreens to remain in Illinois is a huge victory, and shows the power of grassroots pressure,” said Change to Win in response to Walgreens’ decision. Pharma insight: This is not the first time that consumer action in social media has impacted the direction of major healthcare companies, and it is unlikely to be the last. The UK’s Medicines and Healthcare products Regulatory Agency (MHRA) announced in September that it was leading a consortium with European medicines regulators, academics and the pharmaceutical industry to develop new ways of gathering information on suspected adverse drug reactions (ADRs). As well as developing a mobile app for reporting these, MHRA said that the initiative would also investigate the potential for publicly available social media data for identifying potential drug safety issues. “The growing use of smartphones and tablets by patients and healthcare professionals creates a need for reporting forms to be provided on these platforms to ensure regulators receive ADR reports that are easy to access and complete,” said an MHRA spokesperson. Pharma insight: After years of pharma worrying about discovering ADRs in social media, regulators could soon be one step ahead. Following the worldwide explosion of social media conversation about Ebola, Pentamer Pharmaceuticals launched an appeal on crowdfunding site Indiegogo, to raise $140,000 to test a novel vaccine against the disease. Crowd funding allows businesses to raise capital from a large number of investors, each making small contributions, and recent funding applications by others on Inidiegogo have raised millions of dollars. “It is a shame that traditional investors have little interest in helping out. Maybe they will think differently when Ebola is crawling up their front porch,” said Pentamer Pharmaceuticals in its crowd funding appeal. The campaign, which opened on 13 October and closed six weeks later, raised just $1,400, achieving 1 per cent of its goal. Pharma insight: For pharma, joining the crowd of social media innovators is not always as easy as it looks. The NHS unveiled plans that promise to give every patient in the UK digital access to their GP records next year, and full access to every detail of doctor and hospital visits including drugs, reactions, and tests by the end of 2018. “In just four years, every citizen will be able to access their health records at the click of a button, detailing every visit to the GP and hospital, every prescription, test results, and adverse reactions and allergies to drugs. Patients will also be able to record their preferences and thoughts alongside official medical notes,” read a news release from NHS England. Pharma insight: The promise of mobile health records reflects a major milestone in the integration of social and mobile platforms into the lives of virtually every patient or carer. Daniel Ghinn is CEO of digital market research consultancy Creation Healthcare where he develops insights for pharma from the online activity of healthcare professionals. He Tweets at @EngagementStrat. 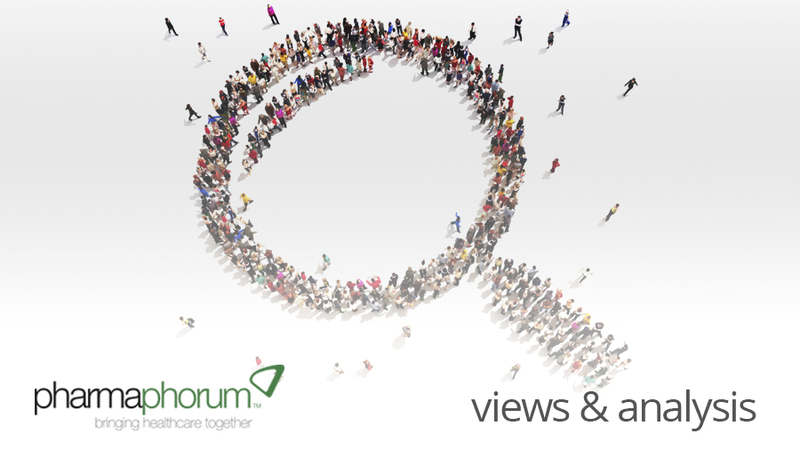 Have your say: How will pharma engage in the social media space in 2015 and beyond? Daniel’s next article will be published in January 2015.